1).Which of these has celebrated its 30thRaising Day? 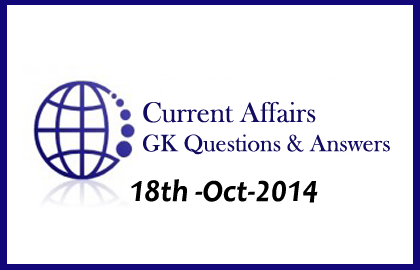 2).In which two states, assembly elections were went in October 2014? 3).In Haryana Assembly election which party has emerged as 2nd largest party? 4).Who is the new president of Indonesia? 5).Which bank has received IDRBT award 2013-14? 6).IRNA is the news agency of? 7).Name the Indian Origin Person who will be head America Department of Justice’s Civil Rights division? 8).Which three parties have secured maximum votes in Maharashtra assembly election in descending order? 9).Which Political party is losing its national party status now days? 10).Who is the winner of Sultan Johor Cup Under-21?